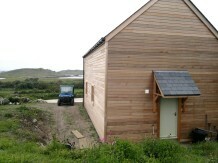 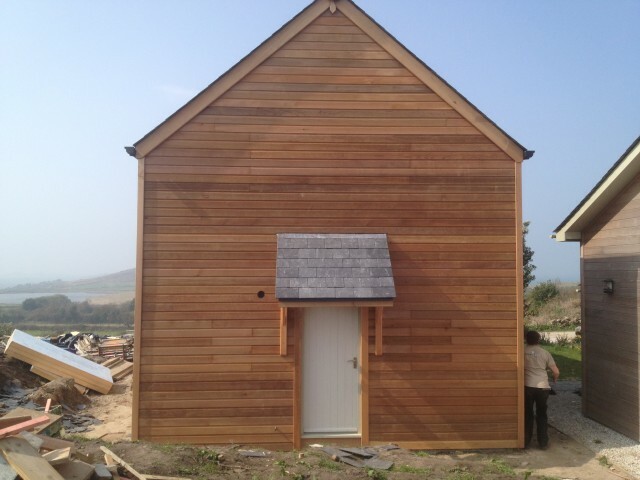 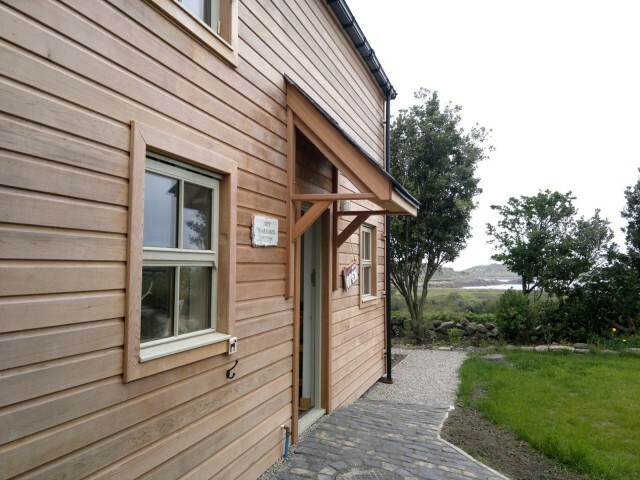 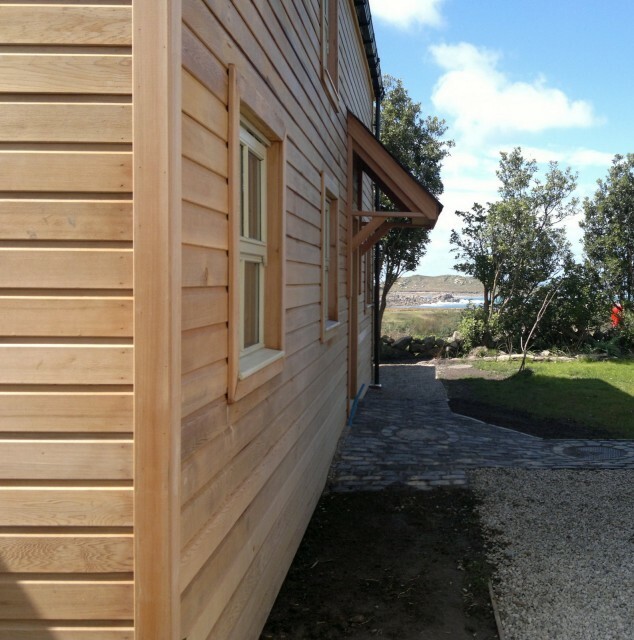 North Coast Log Cabins | Bespoke, cedar clad, residential building. 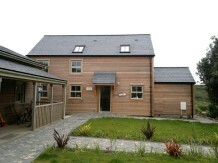 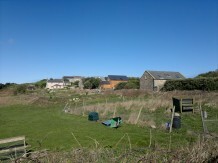 Here we have a bespoke building with studio on the ground floor and residential on the first floor. 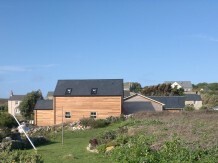 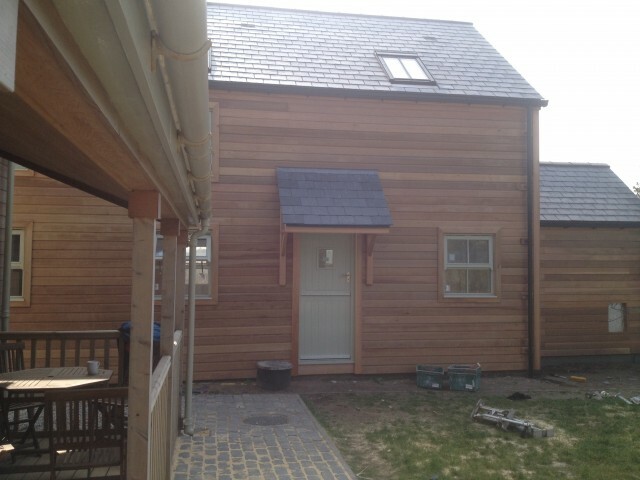 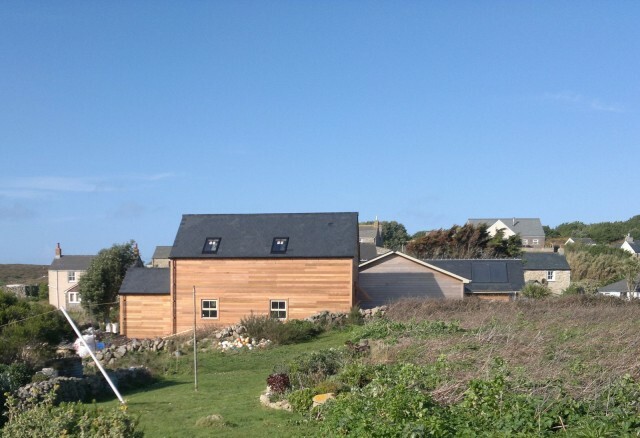 The outside is clad with Cedar and finishing this off perfectly the roof covering is slate. 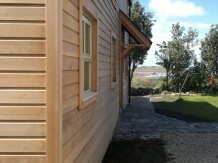 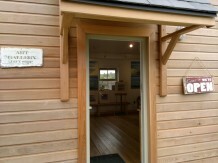 The external doors are handmade bespoke hardwood. 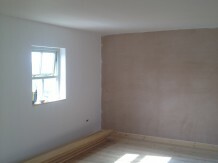 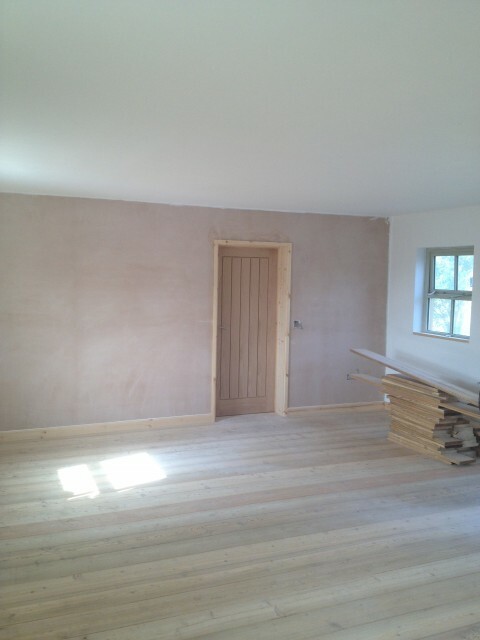 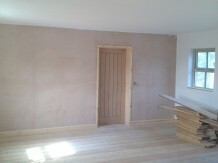 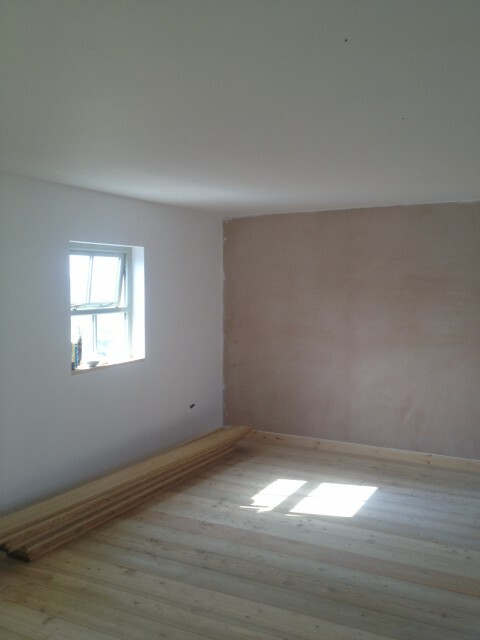 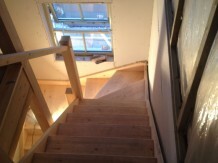 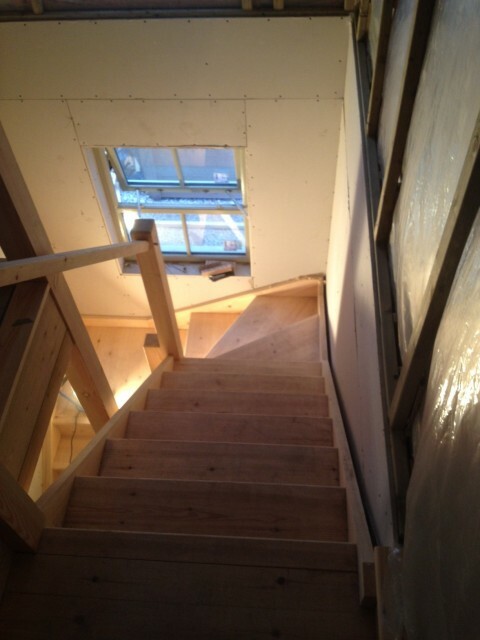 Internally the rooms have been insulated to building regs standard and then plaster boarded and skimmed. 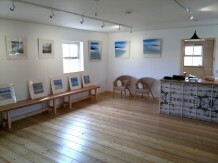 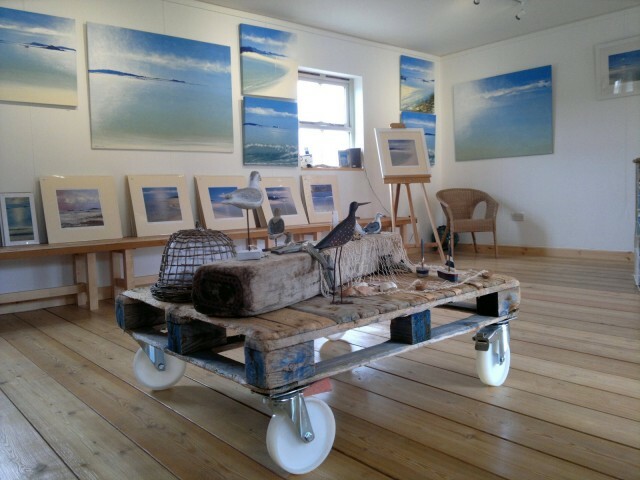 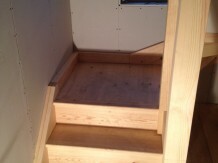 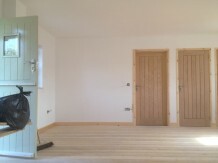 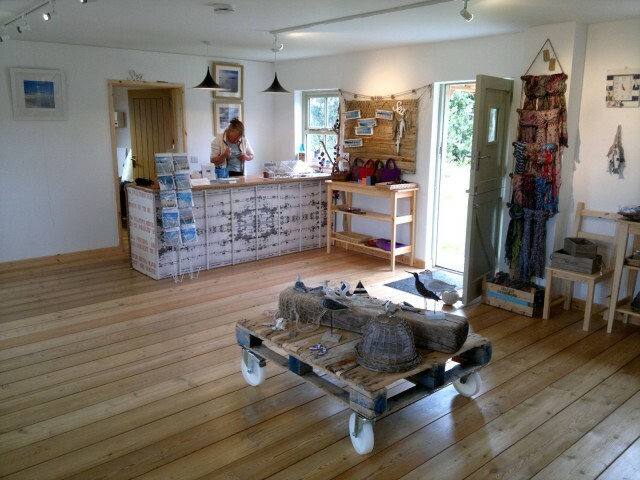 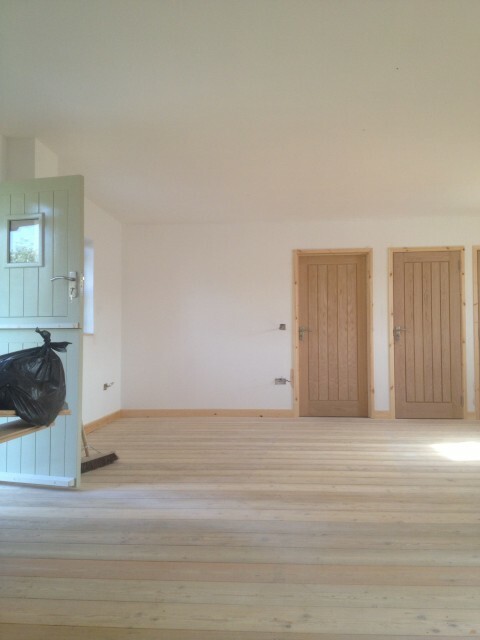 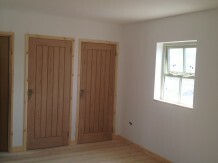 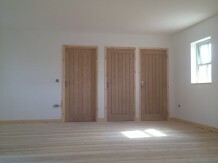 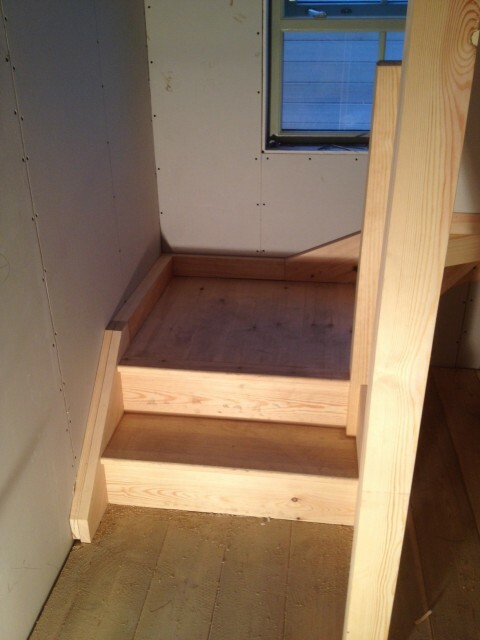 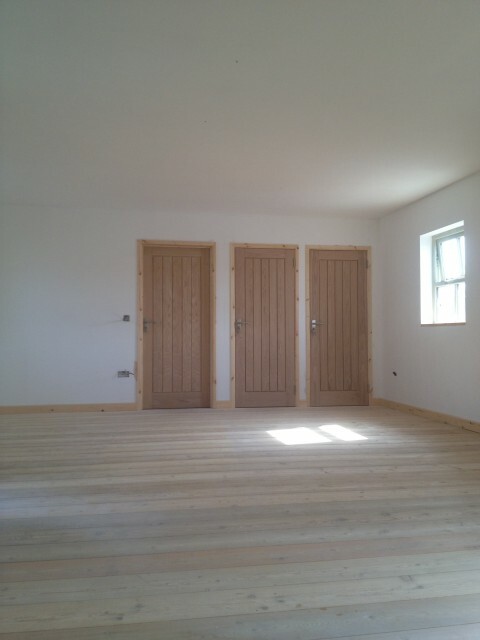 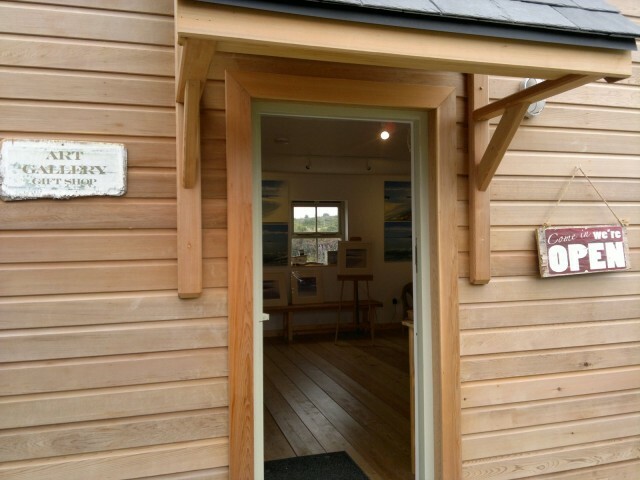 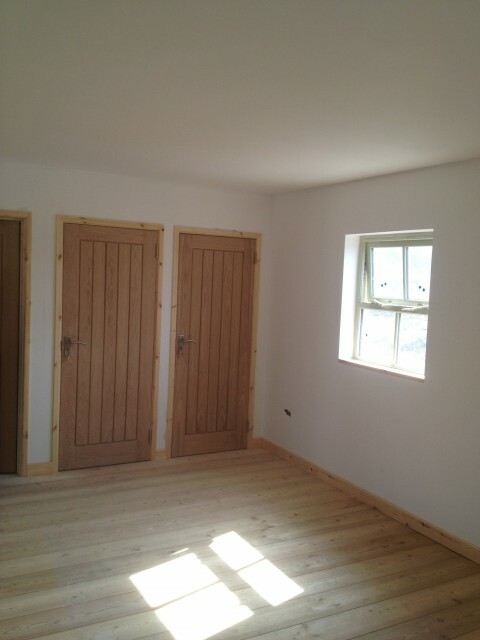 The internal doors are handmade bespoke softwood and the floor boards are Larch.